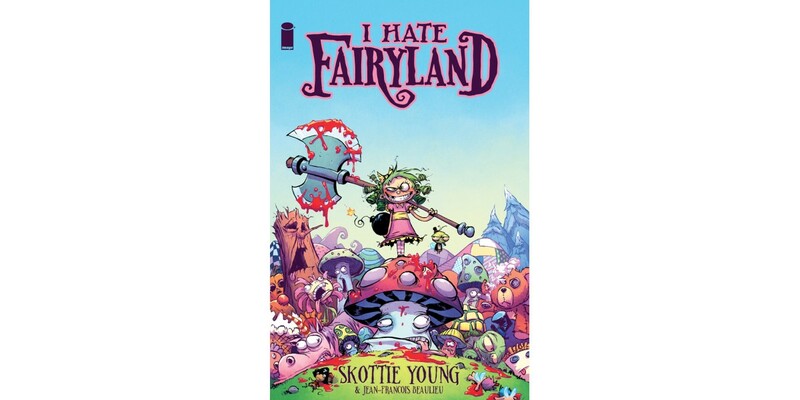 Bestselling artist Skottie Young (Fortunately, the Milk, Rocket Raccoon, Dorothy and the Wizard of Oz) and Jean-Francois Beaulieu (Dorothy and the Wizard of Oz) would like to introduce you to Gertrude, a snarky, slightly deranged 40-year-old with a battle axe who happens to be trapped in a Shirley Temple-esque body and confined to the technicolor funworld that is Fairyland. 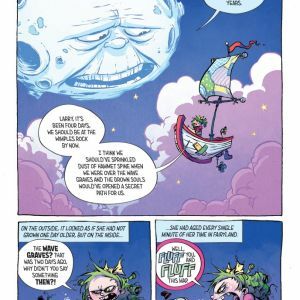 I HATE FAIRYLAND is an all-new series full of morbid, dark humor and snark—perfect for fans of Invader Zim and Fight Club. 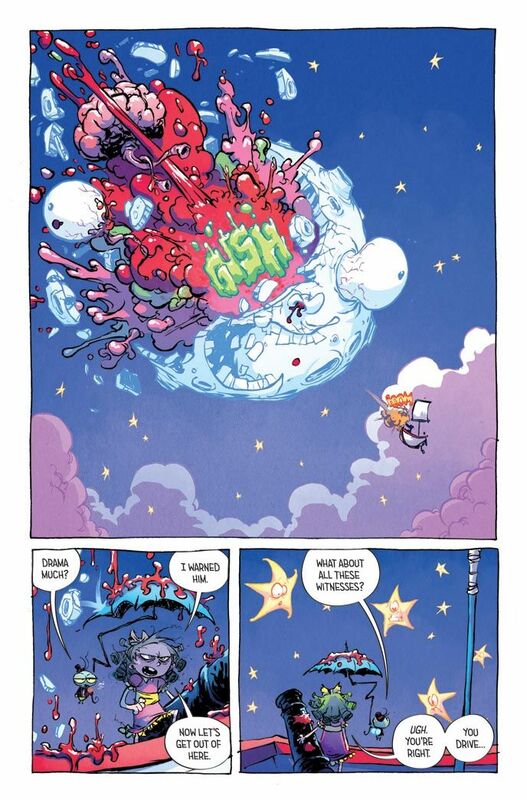 In I HATE FAIRYLAND, Riddling Slugs, Giants made of Pillows in the Quiltlands, and camping out on Ice Cream Island may seem like fun when you’re eight years old. 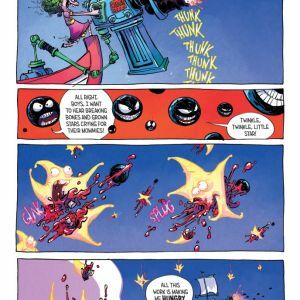 But to Gert, a forty-year-old trapped in a child’s body, it just makes her want to take a giant battle axe and chop up anyone or thing that tries to keep her from finding the way home. 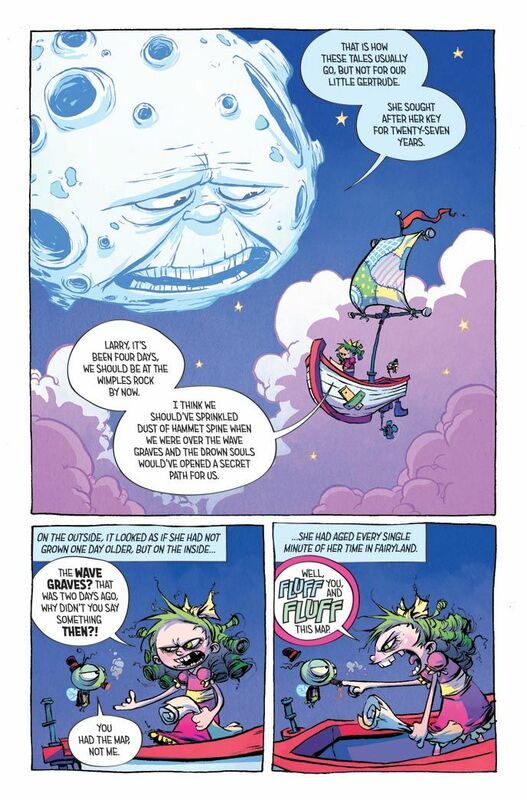 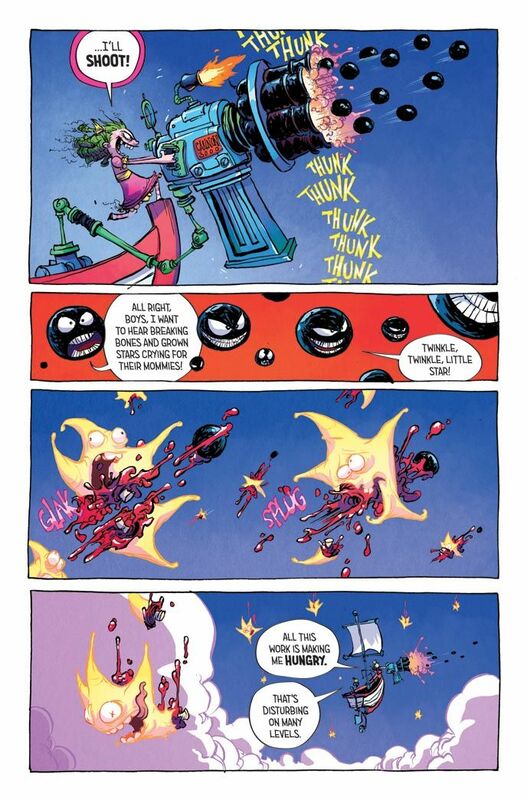 I HATE FAIRYLAND will hack its way into stores in Fall 2015.